With the holiday season right around the corner, some professional leagues are slowing down while others are just starting to heat up. This week, we have a slew of Counter-Strike tournaments on the menu – let’s dig right into the action in this instalment of the Midweek Snapshot. The Power League Gaming Grand Slam is the first noteworthy tournament on the Counter-Strike schedule this week. 16 teams including the likes of Fnatic, HellRaisers, G2 and Tyloo will hash it out for the lion’s share of a $100,000 prize pool in Abu Dhabi, United Arab Emirates. Swedish brigade, Fnatic, are pinned as the favorites for the PLG Grand Slam and that accord is assigned properly in our opinion. Fnatic is truly a superstar team when you look at them on paper, and while this season has been far from their best, a few new additions has generated life in the squad. The organisation has a rich history as well as housed many of Counter-Strike’s best players and there’s reason to believe in the newest configuration of the team. 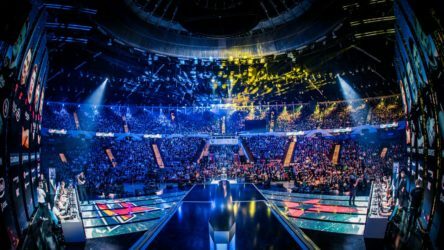 The signing of both Twist and 16-year old Swedish prodigy, Brollan, in October has seen Fnatic on the rise as an upshot of the acquisitions. Fnatic’s initial LAN appearance fielding this current lineup was at IEM Chicago, which saw them through to a 3-4th place finish which included what many believed to be the best match of Counter-Strike played all year against Astralis. Prior to these core changes, Fnatic has consistently found themselves on the losing side against Counter-Strike’s upper-percentile of teams; this series of disappointing finishes has quickly placed Fnatic in the shadows of teams such as Astralis, Liquid, FaZe and Na’Vi. Baring this renewal however, there’s plenty of reason to believe this very well could be their tournament to win. 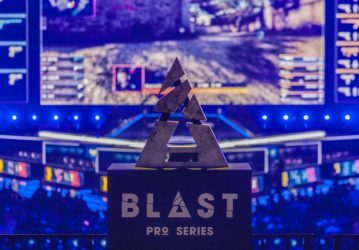 Blast Pro Series Lisbon rounds out an incredible season of Counter-Strike as the last big name event of the year. The $250,000 prize tournament may very well be casted in the shadow of the ESL Pro League Season 8 Finals and with that, Astralis seizing the Intel Grand Slam Season 1 prize, securing first place at the event as well as history – all on their home soil in Denmark. It’s hard to make an argument against Astralis winning at this point.The team has accomplished so much this year, setting a number of records including CS:GO team with the most time spent in the #1 global rank as well as securing the aforementioned Intel Grand Slam. Several months ago, skeptics could come up with reasons for the Danes possibly faltering to another team at an event based off a hot streak or key trade, but not anymore. What Astralis has proved this season above all is that they are simply light years ahead of their competition. From the brilliance of each individual player to the overall chemistry of the team, there are simply no weak links in this lineup. With that being said, there is a lot of talent at this event and Astralis will surely need to stay on their A-game to come out on top – a matter of consistency they’ve more than proven to us they can achieve. Really the only item at Blast Pro Series that could potentially leave Astralis on the losing side is the format of the event – Round-Robin, best-of-one. The Danes are immaculate at playing the long game which is, in our opinion, their best trait; in a best-of-one format though, it’s far easier for teams to skate by with a hard fought win rather than challenge them in a three or five map series. In the probable event Astralis book their spot in the Grand Finals at Lisbon, we’re putting all our chips on this unit. The German unit, Sprout, is a team that has blipped on our radar from time to time, having made some noise here and there in the lower-divisions. During this season, Sprout has found themselves in a few higher-stakes tournaments such as the StarSeries & i-League Season 6 Finals where they were pitted against the big dogs. Despite going 0-3 at the event, they put up a surprisingly good fight against the likes of Mousesports, Vega Squadron and most notably, pressing HellRaisers up against the ropes in a nail-biting overtime scenario. When you stack up Sprout against the rest of the names on the bill in Oldenburg, it seems like a no-brainer. Sprout is the squad with the most experience and have tasted an elevated style of play that will likely be the driver of their winning prospect.